Beaches in Kauai are the Best! I don’t think people realize that there are more beaches in Kauai per shoreline mile than on any of the other major Hawaiian Islands. 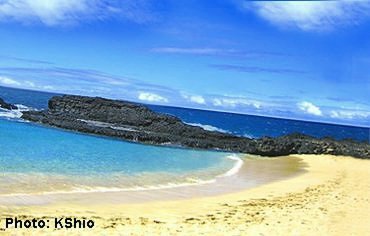 They range from secluded Secret Beach, accessible only by a little hike, to the wide open Poipu Beach, where you can park the car and jump right in! 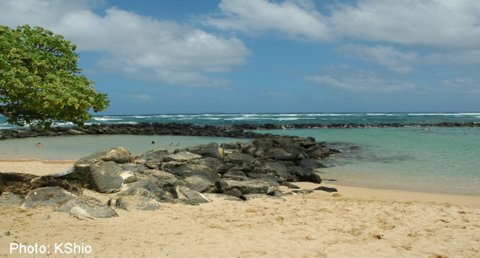 The beaches in Kauai that you'll find between the north shore in Princeville and the south side in Poipu, offer something for everyone! First off, if you have kids, then Click here to see our favorite beaches for families. You'll see our favorite spots for swimming with the kids! Now, let's start at the top part of the island, and work our way down. I've broken it down into a few "areas" to make it easier to plan a day trip. 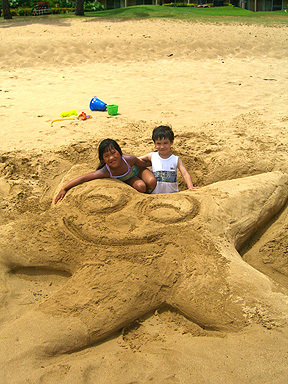 Kauai beaches are so abundant, that you can easily hit more than one in a day if you have the energy! On the "top" side of the island, the beaches in Kauai are really great. Some of them are a bit out of the way, but all are definitely worth the hike! But make sure to CHECK A BEACH/SURF REPORT before heading out, as the north side surf is not as friendly in the winter months. Also, checking the reports sometimes lets you sneak in a GREAT day of snorkeling on Kauai, when you might otherwise not think to venture to one of these great spots! Now let's move to the EAST side beaches, because to the WEST is the Napali Coast, incredibly beautiful, but really only accessible by air or boat. Two of our favorite beaches for kids are on the east side of the island. 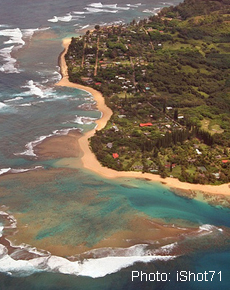 So CLICK HERE to see EAST side beaches of Kauai near Lihue and the Kauai Coconut Beach Resort. Onward and DOWNward! The SOUTH shore beaches near Poipu and Waimea also have the best beach-side resort hotels! And you can find the sun here even when it's raining on the north side! As we move along to the SOUTHWESTERN shoreline, you'll find Polihale beach, a realllyyy LOOONNGG beach, where you can almost always find seclusion away from other beachheads.